Your feet are very important, especially when it comes to, well just about everything you do. 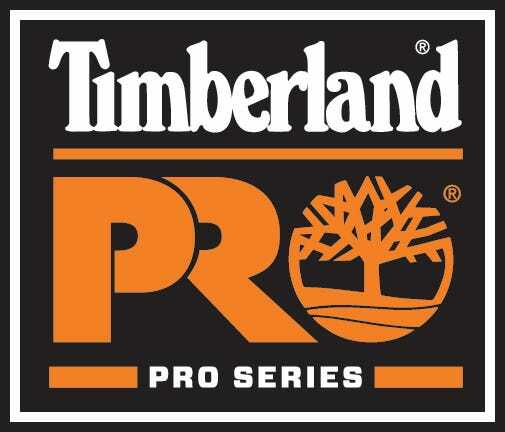 Protect them and wear these Timberland PRO Men's Brown 26063 TiTAN Safety Toe EH Work Boots. Your toes will thank you! This TiTan footwear is manufactured with Timberla ... (see full details) (see specifications) #TMBTB026063214. Your feet are very important, especially when it comes to, well just about everything you do. Protect them and wear these Timberland PRO Men's Brown 26063 TiTAN Safety Toe EH Work Boots. Your toes will thank you! This TiTan footwear is manufactured with Timberland PRO Rubber, which is heat-resistant and helps with slip-resistance, abrasion-resistance, and oil-resistance. Basically, when you wear these men's boots you will stay on your feet, regardless of the messes you might encounter. Also made with the TiTAN safety toe, these EH boots will protect your toes from anything that might try to crush them. They have been tested and meet impact and compression ASTM F2412-11 and ASTM F2413-11 safety standards, as well as the ASTM F2892-11 safety standard for electrical hazard protection. You work hard, so you probably sweat and your feet probably sweat the most. After all, they do a lot of work during the day. These brown boots have an antimicrobial treatment, which will help to prevent any odors that might come along with that sweat. These Timberland PRO boots are also made with the PowerFit Comfort System. This comfort system is designed to provide support to all the areas in the foot where it is needed. Contoured open-cell polyurethane footbeds have Outlast Adaptive Comfort temperature-regulating technology, and there are sock covers to keep your feet drier, too. These alloy-toe boots have a moisture-wicking spacer mesh lining in order to help keep your feet dry while you are hard at work. The collar is padded, so you will always be comfortable the moment you slip into a pair of this work footwear. Cement construction adds flexibility, so you'll have a reduced break-in time. Nylon diffusion shanks add structural support and torsional rigidity, so you'll have arch support that'll help reduce foot fatigue. When you want to be safe and comfortable throughout your work day, wear a pair of these Timberland PRO Men's Brown 26063 Safety Toe EH TiTAN Boots. They work just as hard as you do! So go ahead order your pair online from the Working Person's Store today. COMFORT GUARANTEE: Includes the 30-Day Comfort Guarantee: If during the first thirty (30) days following your purchase you believe our footwear is not more comfortable than other brands you have worn, as long as you have your receipt, they can be returned for full price. 214 out of 217 people found this product review helpful. I bought this particular Boot about 3 years ago @ a local Store, and was NOT really very satisfied overall. As many of the other people have stated in their reviews, after about 6-8 months the Sole cracked on mine, one Boot at around 6 months and the other a couple months later. Consequently, the Boots were useless to me once that happened, as I work in a Factory where I have to walk on Wet floors quite often. I gave these Boots 2 Stars because they are a Nice looking Boot, and they are very comfortable, but they are not worth the money in my opinion, due to the fact that the Sole will likely crack after several months of use. They might be fine for occasional use, but they just don't hold up to everyday work in a Factory type setting. In my opinion, the Wolverine and/or Caterpillar Boot is a much better choice for about the same money. I wouldn't recommend these Boots! Also, I noticed in a few of the reviews that some people mentioned that these Boots are Waterproof, but I believe that they are confusing this particular Boot with some other similar looking Timberland Boot. This Boot (26063) is NOT a Waterproof Boot, nor does the Company/Manufacturer claim that it is! 107 out of 111 people found this product review helpful. 97 out of 100 people found this product review helpful. 84 out of 88 people found this product review helpful. These are the most comfortable boots I have ever owned but the soles will split and let in water after just a few months of regular wear. If they would redesign the soles I would be a fan for life, as for now my feet are wet and I hesitate. 75 out of 83 people found this product review helpful. Timberland PRO Boots: Men's Brown 26063 TiTAN Safety Toe EH Work Boots is being added to your cart.